Beside their “all-new” Amazon Fire TV 2017, Amazon has made a bunch of other announcements mostly related to their Alexa services with four new or updated Echo devices: the “all-new” Echo, the Echo Plus, Echo Connect, and the Echo Spot. 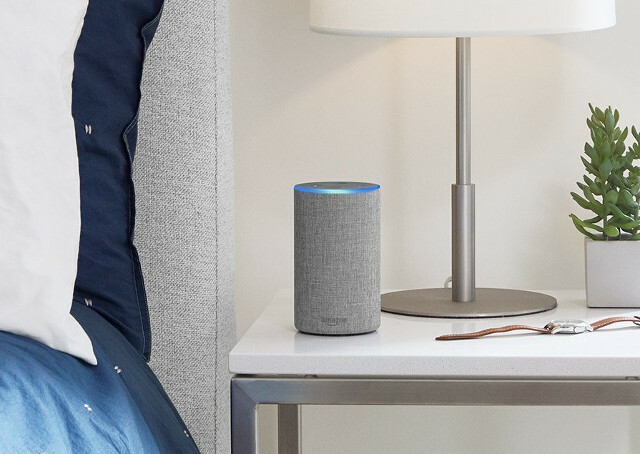 The new second generation of the Alexa based Echo has a new smaller design, improved sound with Dolby processing, and a lower price at just under $100. 7-mic array using beamforming technology and enhanced noise cancellation. 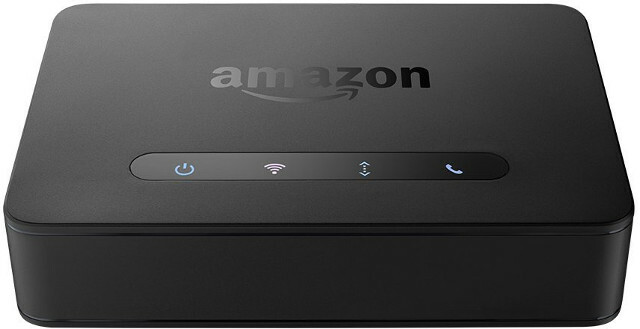 The Echo can make free calls to the US, Mexico and Canada, control smart home devices such as the new Fire TV media player. 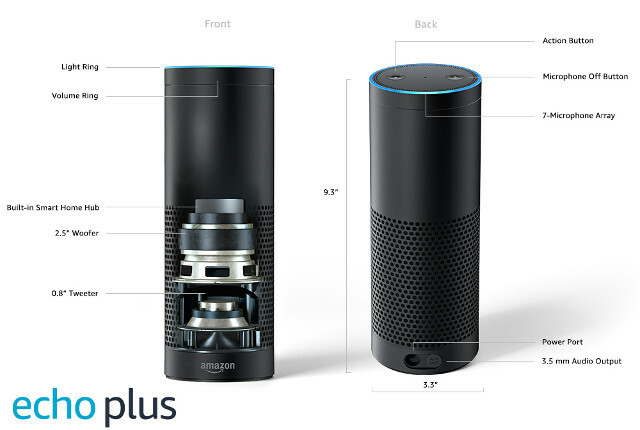 Echo Plus has similar features to the Echo, but adds a built-in smart home hub to connect your smart devices such a lights, locks, and others. 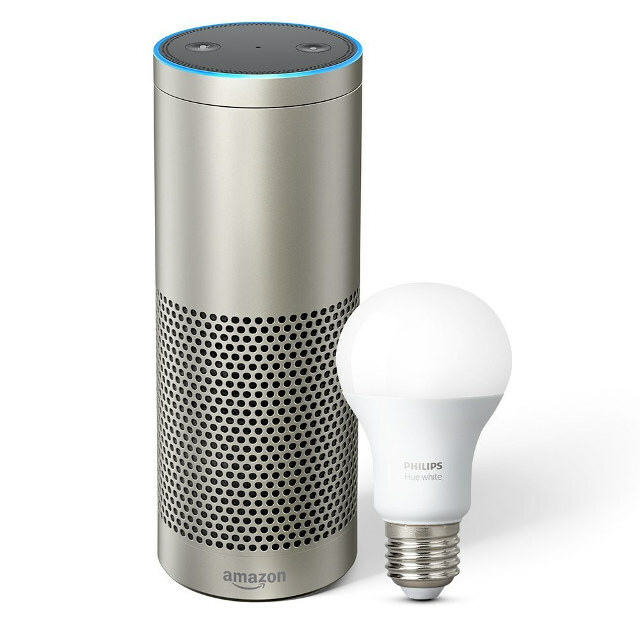 It sells for $149.99 with a Philips Hue smart lightbulb (while supplies last). 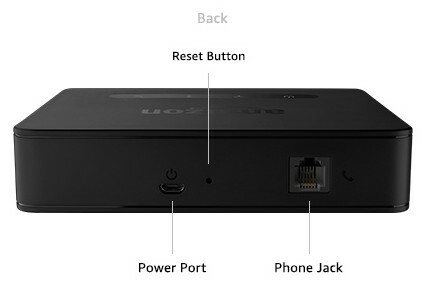 Just like the Echo 2, Echo Plus can make free calls to North America, and control smart devices over WiFi and BLE, but the smart home hub appears to add support for Zigbee too allowing for a wider range of devices. 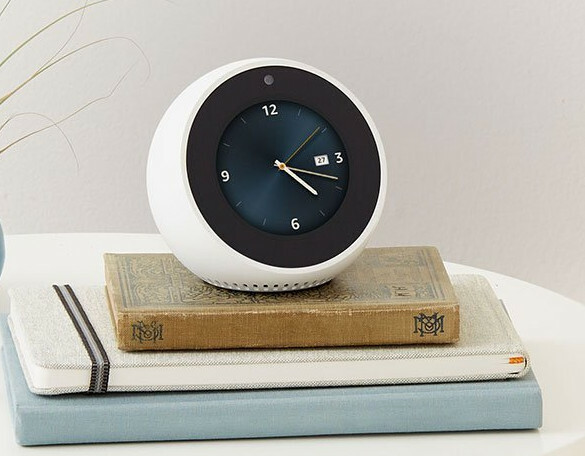 Echo Spot is a compact devices with a round screen that works like other Echo, but can also show news, weather, smart home camera feeds, video calls, Alexa skills, and more on its display. Sold for $129.99 with delivery planned for December. 4-mic array using beamforming technology and enhanced noise cancellation. 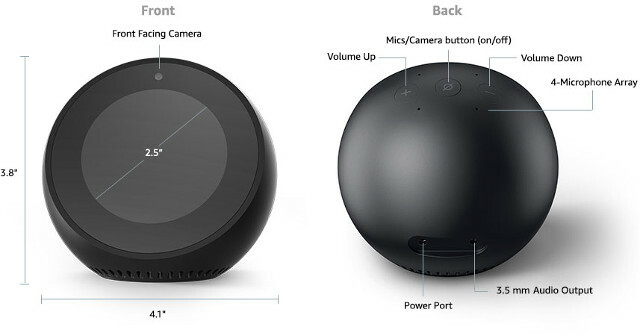 Echo Spot comes with a single speaker, a simpler 4-mic arrow, and supports all features of the Echo 2 device. Amazon is taking pre-orderd for Echo Connect for $34.99 with delivery scheduled to start on December 13, 2017.